This week, police in Winslow and Gloucester townships were honored for their work and proved why they deserved it. 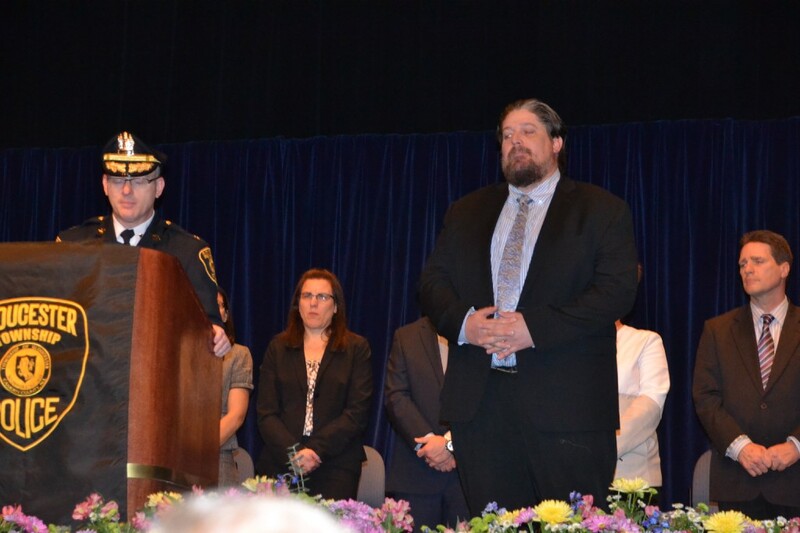 Gloucester Township honored police and citizens who made “extraordinary contributions to the safety and well-being of the community.” Mayor David Mayer closed the ceremony by saying how “no one else is doing” what the township is doing in terms of community policing. You’ve probably seen the ‘U Drive. U Text. U Pay.’ signs around town. From April 1 to April 21, Winslow Township Police Department will be out in force looking for distracted drivers as part of the U Drive, U Text, U Pay Campaign, a high-visibility effort to enforce distracted-driving laws. The Gloucester Township police didn’t take the day after their ceremony to celebrate. A one month investigation resulted in the arrest of 33 year old Robert W. Bruce and 65 year old Ronald Stenderowicz of Gloucester Township. The Gloucester Township Police Department received numerous quality of life and citizen complaints at 2061 Erial Clementon Road. The candidates for the upcoming mayoral and election council have been announced. Primaries will take place in June.